Email inboxes can be chaotic places and many of ours tend to look like the digital version of that Channel 4 programme on extreme hoarders. And this is only one half of the battle, aside from the innumerable saved emails; there are also issues with archiving, attachments and storage to consider. So, let’s take a look to see how we can make our inboxes a more organised, less cluttered place. In the real world of paper, you probably have a range of different files – places for bills, files for mail, a bin for rubbish and so on. In the world of email many people’s lives are not often nearly as logical. However, most mail programs allow you to create additional folders for storing particular forms of mail in particular places, there is also the option for a subfolder. Adding these folders and being strict can ensure your inbox is a tidier, neater place. Moving emails across from the main page to a folder can usually be done in a drag and drop manner, or through menus. It’s also possible to do this with a number of emails at one time. One of the biggest problems with emails comes in the form of attachments. If your folders become too large and you haven’t saved them to an external disc, you risk the folders becoming unstable. Ideally, you should download any attachments you need and save them elsewhere. Alternatively, if the file is quite large you may be better off considering sending it via the likes of Dropbox or Box. This will prevent instability and by creating a specific folder you know where to look. The amount of rubbish we get in our inbox can be almost depressing. If you’re big into social media then you’ll probably receive notifications galore. Go into your clients filter and set up some indicators for these sorts of emails. Usually, this can be done via keywords, subject or sender. Set aside an hour one evening and unsubscribe to all of those emails that you keep getting but never read. There are only enough coupon sites you need and though it may take a few clicks, it’s worth it to prevent them clogging up your inbox. If you persistently get emails from companies and just can’t seem to subscribe, remember send them to the spam box. Just make sure to check that no legitimate messages have ended up there. When writing or sending an email, be as specific as possible. This means that you will be able to find things via the title a lot faster. Including dates and other information in subject lines will make things a lot easier to find and makes for an efficient email system. 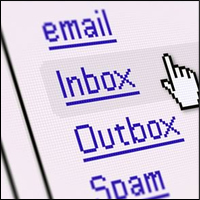 Keeping your email nice and neat is like any sort of organisation. It takes a little time constantly, but it saves a lot of time and pain in the long run. My Social Agency is a digital marketing agency based in the UK with offices in Leeds and London.